Sossusvlei in Namibia boasts some of the highest dunes in the world and spectacular desert scenery. In the central Namib Desert lies a clay pan within the Namib-Naukluft National Park called Sossusvlei. “Vlei” in Afrikaans means a shallow depression filled with water. Sossusvlei is a mud pan created by a river that flows through the Namib every 5 to 10 years. Meaning Vlei is Afrikaans for "marsh", while "sossus" is Nama for "no return" or "dead end"
Our range of Sossusvlei vacation options and custom trips are aimed at adventure-seekers and honeymoon couples alike. Our safari packages and honeymoons to Sossusvlei in Namibia. 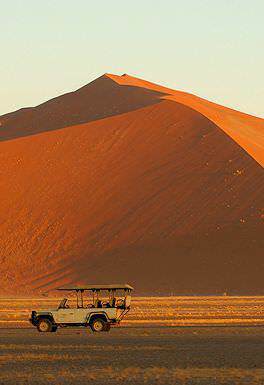 Let us craft the perfect Sossusvlei adventure that complements your particular needs. Sossusvlei is very popular amongst landscape photographers, and it is not hard to see why. The severe color palate, the undulating dunes, the unobstructed views and the otherworldly atmosphere all combine to create the most picturesque tableau. Whether you are a professional shutterbug or love a candid snapshot, your Sossusvlei photos may prove your most memorable. For a landscape that consists largely of 'nothing', Sossusvlei boasts an astounding number of adventures available. Tear across the dunes on a quad bike, clamber to the top of Big Daddy or Dune 45, wander through the crevices of Sesriem Canyon, relish the desert scenery on a leisurely nature drive, examine the landscape from above in a hot air balloon, or learn about the constellations while star gazing. Sossusvlei offers a unique collection of accommodations with enhancements that make the most of the location, like Little Kulala's rooftop 'starbeds' for uninterrupted stargazing. Though plainly isolated, you will find yourself surprised by the quality of meals and the occasional decadence of environment produced by these little desert bastions. Though not nearly as productive in terms of number of animals spotted, a desert game drive does offer the opportunity to view animals that have adapted to survive in these harsh conditions. The gemsbok and springbok are the most common antelope. The brown hyena is the largest carnivore that can be seen here. There are no commercial flights to this remote outpost - only scheduled and private charter flights between Sossusvlei and main tourism hubs like Windhoek, Swakopmund and Etosha. Do keep in mind that charter flights are costly and may seriously augment your traveling costs. Strict luggage restrictions also apply. From Swakopmund and Windhoek, the overland trip to Sossusvlei is around 5 to 6 hours in duration. 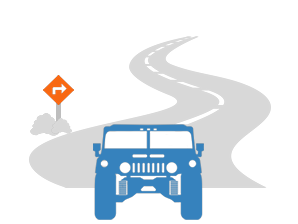 The route is typically tackled in a hardy 4x4 vehicle, as it passes through harsh desert landscapes. All vehicles used are air-conditioned with comfortable interiors - your comfort and safety while traveling are paramount. Sossusvlei is not as dramatically affected by the seasons as other parts of Namibia, which means that it is a fine year-round destination. However, if one had to choose an ideal time to visit, it would be during the interim seasons: autumn, from mid-March to mid-May, and spring, from mid-August to mid-October. Temperatures are more moderate during these periods, with average maximums of 30°C - 33°C (86°F - 91°F) and minimums in the range of 10°C - 15°C (50°F - 59°F). Winter (mid-May to mid-August) offers optimal daytime temperatures for activities, as maximums hover around a pleasant 27°C (81°F). Minimums, however, occasionally dip to freezing point. The east wind makes an occasional pest of itself in the winter months, blasting an unseasonably hot, sandy wind across the desert en route to the coast. Luckily these nasty spells are scanty and only last a few days. Summer can be a scorcher, particularly in the months before the rains have fallen (October & November). During this period, the mercury can push past 40°C (104°F). The inland rains cool down the interior a bit from December to February. Sossusvlei is not located in a malaria-risk area, therefore you should only concern yourself with anti-malaria prophylactics if you are venturing considerably further north. Ensure that your routine vaccinations are up to date and be cautious and attentive when enjoying moderate-risk activities like quad biking. This is the desert. Ensure that you stay hydrated (bottled mineral water is readily available at all lodges and accommodations), wear a proper hat when venturing out and reapply sunblock as you find it necessary. Petty crime is low to non-existent in this remote outpost. Animals are scarcely seen but nevertheless prevalent - avoid feeding any wild animals or approaching them. The experiences available in and around Sossusvlei are inherently unique to the area. Nowhere will you marvel at the night sky quite like here, nor gape in awe at the aerial views from the basket of a balloon. Sossusvlei is one of a kind, and so are the experiences to savor. Sossusvlei is arguably the finest location in Southern Africa to see the skies come alive at night. This remote desert outpost is far removed from civilization, which makes the Milky Way so bright it seems brilliant and close enough to wiggle your fingers through it. Most lodges employ a star guide, who will regale you with tales of the constellations. Floating high above the dunes of Sossusvlei in the basket of a balloon is a decidedly surreal experience. The lofty one-and-half hour expedition is followed by a delectable champagne breakfast in an inimitable desert setting. Thereafter a leisurely nature drive is enjoyed back to your accommodation - the finest way to spend a morning. Visiting Deadvlei ("dead marsh") is akin to visiting an alien planet. The white clay pan is framed by the stark red dunes of Sossusvlei and dotted with the scorched upright skeletons of dead trees scattered across the (typically) dry marsh. The site cedes fantastic photographic opportunities and an altogether extraordinary experience. When exploring Sossusvlei on an overland safari with an African Sky guide, your transportation will consist of a solid 4x4 vehicle capable of navigating the harsh conditions of the Namib Desert. Air-conditioning and comfortable interiors are standard. If you are enjoying a luxurious fly-in safari, you will first reach the Namib-Naukluft National Park by light aircraft charter flight and then enjoy nature drives and activity transfers in modified open 4x4 vehicles similar to those used for game drives elsewhere in Southern Africa. 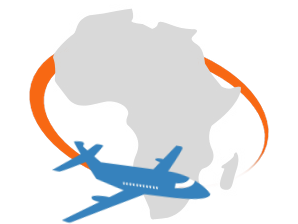 Should the charter flights be full or beyond a reasonable budget, we will arrange overland transfers to and from the lodge in question with a reputable operator that adheres to the same high standards that we do. Your comfort and safety are paramount to us. A dish that might not be for everyone - though the locals love it - has the Afrikaans name of the venomous puff adder snake. The fat intestine of a gemsbok is stuffed with ground up liver, onions and green pepper and then slow roasted over a fire. Omajova is a wild, edible Namibian mushroom that grows on termite mounds after the rains - cultivated by the termites themselves. The unconventional fungi is delicious served in flavorsome soups or simply sautéed in butter with salt and garlic. Although the "Kalahari truffle" is native to the southwestern corner of the country, it is worth ordering where it is available. A distant cousin of the European blank and white truffles, it is thinly sliced and served in salad, soups and sauces. Nara is a nutritious fruit popular with the San for its multi-purpose properties. It yields up a sweet, thirst-quenching liquid, while the pulp can be made into a cake. It can also be baked into a long-lasting bread-stuff, while its roots have medicinal value. Is it viable to drive from Windhoek to Sossusvlei? Yes. This is the preferred method for travelers on a budget, or those who are fearful of light aircraft. It may be a lengthy trip (around five hours in duration), but the scenery is stunning, and it offers the perfect opportunity for a catnap following your long journey to Southern Africa. Should I not rather visit a safari area with a higher density of Animals? Sossusvlei is not a destination that you visit for the wildlife - it is a destination that you visit for its awe-inspiring scenery. If you are lucky, you may encounter brown hyena, and you are very likely to see gemsbok, ostrich and springbok during your visit. If you are after serious game viewing, however, Etosha National Park offers the finest safari experience in the country. What is the closest town? The tiny settlement of Sesriem is the closest 'town'. It basically consists of a filling station and a handful of general stores for basic purchases. Your accommodation will always have bottled mineral water readily available for you. How high is the highest dune? What are the top attractions near Sossusvlei? Deadvlei and Sesriem Canyon definitely warrant visits when you're in the Sossusvlei area. You are pretty much off the grid when visiting Sossusvlei. Enjoy your break from the 21st century's constant connectivity, and rather connect to nature. South Africa is one of the continent's best value-for-money travel destinations. Botswana travel is sought-after for the authentic safari experiences on offer. Namibia's desert landscapes will take your breath away, from Sossusvlei to Etosha. Zambia travel is characterized by remote safari areas and the world's largest waterfall. For off-the-beaten-track safaris, opt to travel to Zimbabwe. Mozambique is sought-after for its pristine coral reefs and fine sandy beaches. Fauna in the Sossusvlei area is relatively rich. It mostly comprises small animals that can survive with little water, including a number of arthropods, small reptiles and small mammals such as rodents or jackals. Larger animals include antelope (mainly gemsbok and springbok) and ostrich. Spotted hyena and the occasional brown hyena are often encountered on the reserves surrounding Sossusvlei. Smaller creatures such as bat-eared fox, black-backed jackal, porcupine, Cape fox and aardwolf can also be seen. During the flood season, several migrant bird species appear along the marshes and rivers. One bird, the aptly named dune lark, has its entire global distribution limited to this area. Much of the Sossusvlei and Namib fauna is endemic and highly adapted to the specific arid features of the Namib Desert. Most notably, fog beetles - such as the Namib Desert beetle - have developed a technique for collecting water from early morning fogs through the bumps on their backs. Sossusvlei offers a wide variety of safari activities for the avid adventurer. From hot air ballooning above the breathtaking dunes to exploring them on foot, there are many ways to enjoy this extraordinary natural phenomenon. Quad-biking is particularly popular, as guests are able to explore vast stretches of the area without wearing themselves out physically. Certain private game reserves along the edges of Sossusvlei also offer early morning and evening nature drives, which provide the opportunity to encounter remarkable desert-adapted critters. Sossusvlei is also one of the finest locations for star-gazing. The luminescence of the night sky will take your breath away, and many lodges host staff well-versed in astronomy, ensuring both an informative and unforgettable stellar discovery. The Sossusvlei area (about 32 000 km²) belongs to a wider region of the southern Namib with homogeneous features extending between rivers Koichab and Kuiseb. This area is characterized by high sand dunes of vivid pink-to-orange color, an indication of a high concentration of iron in the sand and consequent oxidation processes. The oldest dunes are those of a more intense reddish color. These dunes are among the highest in the world; many of them are above 200 meters, the highest being the one nicknamed Big Daddy, about 380 meters high. The highest and more stable dunes are partially covered with a relatively rich vegetation, which is mainly watered by a number of underground and ephemeral rivers that seasonally flood the pans, creating marshes that are locally known as vlei; when dry, these pans look almost white in color, due to the high concentration of salt. Another significant source of water for Sossusvlei is the humidity brought by the daily morning fogs that enter the desert from the Atlantic Ocean. Etosha National Park is Namibia's top safari destination, offering prolific game viewing opportunities. Sossusvlei's vivid red landscapes will take your breath away. The top destinations include Deadvlei and Sesriem Canyon. Windhoek, Namibia's historic capital city, offers a fantastic overnight stay en route to exciting destinations like Etosha and Sossusvlei. Swakopmund offers an appealing blend of quaint, seaside charm along with coastal and desert-based adventures.